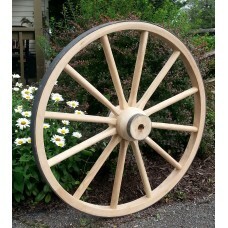 Wagon Wheels - Colonial Trading Co.
We build CUSTOM Wheels and REBUILD your old Wagon Wheels or Cannon Wheels. In addition to the many styles of Wheels we stock, we are happy to quote your custom wheels. 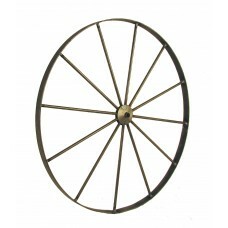 We can also rebuild your Wagon Wheels or Cannon Wheels. Call (717)286-4041 or email us to discuss your project. We rebuild Wood Hub Wheels, Archibald Wheels, Sarvin Wheels, Wanner Wheels, and many others. Contact us today! 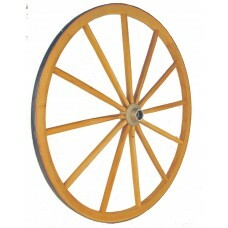 We have built Custom Wheels from 1ft diameter to 11ft diameter! We would love to assist in your restoration project. 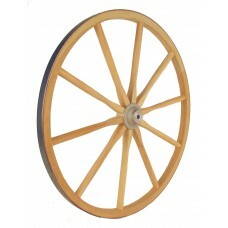 These Wood Hub wheels are available in 24", 32", and 36" diameters. Other sizes available as a custom order. 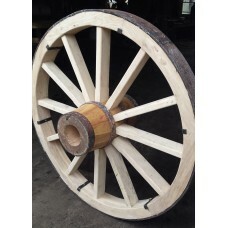 These wheels are similar to our "Heavy Aluminum Hub Wheels", with the difference being the more authentic wood hub, which is more labor intensive to make. 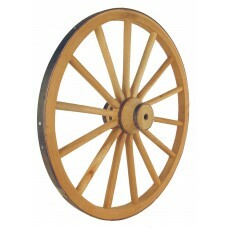 They are made of solid Hickory, with a forge shrunk 1 1/4" wide steel tire. The hub is also made of hickory or ash, and has 2 steel bands. 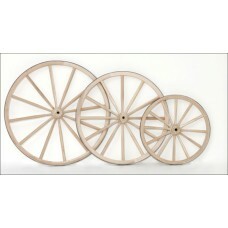 These wheels are sturdy and make great country or western accents. Build your own Wagon Wheel Chandelier. 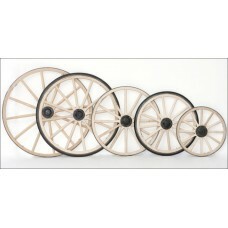 Heavy Duty wood hub wheels available in sizes 36", 42", 48", and 54". These wheels are a heavier version of our lighter duty "Regular Wood Hub Wheels". They are made of solid Hickory, with a 2" wide, forge shrunk steel tire. The hub is also made of hickory or ash, with 2 steel bands, and measures 6 1/2" diameter x 8" long. These are very solid wheels, and can be used for various projects. 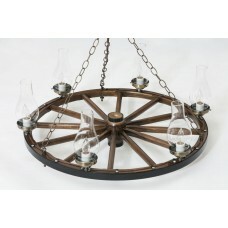 Build your own Wagon Wheel Chandelier. The real thing! These are real buggy wheels. These are the wheels used on Amish buggies here in Lancaster County, Pennsylvania. We use a hub called the "PA Bolt" hub and hickory spokes and felloes. The spokes are 1 1/8" wide at the hub. Available with steel tires or hard rubber tires. 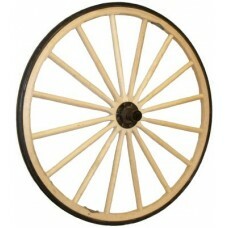 We can also build a wide range of custom wheels to your specifications, or rebuild your old wheels. Please contact us for more information.